How Long Will a Bankruptcy and Foreclosure Stay on My Credit Report? How Long Will a Bankruptcy and Foreclosure Appear on My Credit Report? When you miss a credit card payment, mortgage payment or end up going into deep debt that you can’t realistically pay off within a reasonable amount of time, you put yourself at risk for bankruptcy or foreclosure. Many people who end up filing for bankruptcy or are dealing with foreclosure find it difficult to apply for a loan or get a credit card shortly after everything has been finalized. This is because information about your bankruptcy and foreclosure will stay on your credit report for several years. In a lender’s eyes, you are a “high risk” candidate and many lenders will simply deny you for a loan because your credit history. Many people are confused about the Statute of Limitations on certain types of debt. It’s important to remember that the Statute of Limitations has absolutely nothing to do with the length of time that something stays on your credit report. Filing for bankruptcy is a drastic measure but sometimes you don’t have any other choice. Bankruptcy information stays on your credit report for up to 10 years. Bankruptcy is a legal way to discharge your debts, but filing bankruptcy will have the most negative effect on your credit score. It’s always in your best interest to make sure that information about the filing are reported to the credit bureaus correctly. Keep in mind that according to FICO, a bankruptcy that is “Dismissed” does not actually lower your FICO score. When your bankruptcy has a “Disposition” status, it will impact your credit rating. 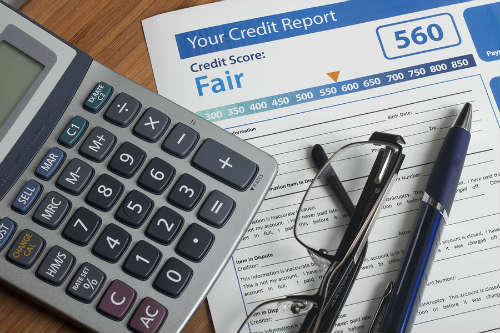 When you are able to work on improving your credit rating, make sure that you take steps to dispute any information that is inaccurate or outdated so that it does not show up on your public records. When a foreclosure gets reported to the credit bureaus, you can expect your credit score to drop by as much as 150 points. In most cases, borrowers who have dealt with foreclosure are granted “subprime status”, which means they aren’t eligible for attractive interest rates in the near future. Like bankruptcy, a foreclosure is considered to be a serious delinquency and will stay on your credit report for up to seven years from the date of filing. Even when you meet a lender’s requirements based on a past foreclosure, an underwriter will still see you as a risky candidate for another mortgage and you may find it very difficult to get the loan you want. It is possible to have the foreclosure removed from your credit report, but this can be a very lengthy process and will require some strong negotiation skills. When you have bankruptcy or a foreclosure in your credit history, it’s even more important to make sure you are keeping up with other bills and working towards repairing your credit. You may need to wait several years before your credit score improves after the negative impact from these credit problems, but you will be able to remove them from your credit history completely within seven to ten years.